The M.Sc. 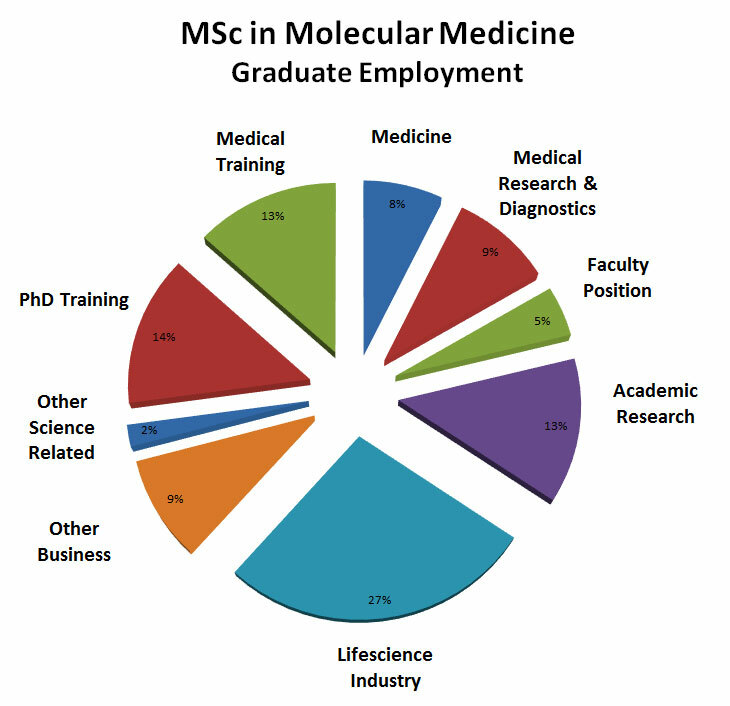 in Molecular Medicine in Trinity College Dublin was established in 1997. The programme is delivered by over 80 research-active experts, including academic scientists, clinicians and healthcare professionals from Trinity and its associated teaching hospitals, as well as many external experts. Students acquire broad theoretical knowledge of topics such as cellular signalling, genetics, oncology and immunology in human health and disease. Specialist topics are also covered, such as the molecular basis of human diseases, the role of infectious agents in disease, advanced diagnostics and therapeutics, nano-medicine and medicinal chemistry. A central component of the programme is practical ‘hands-on’ experience in state-of-the-art research laboratories, with access to the latest cutting-edge technologies in the biomedical and life sciences. Over 300 graduates of the M.Sc. 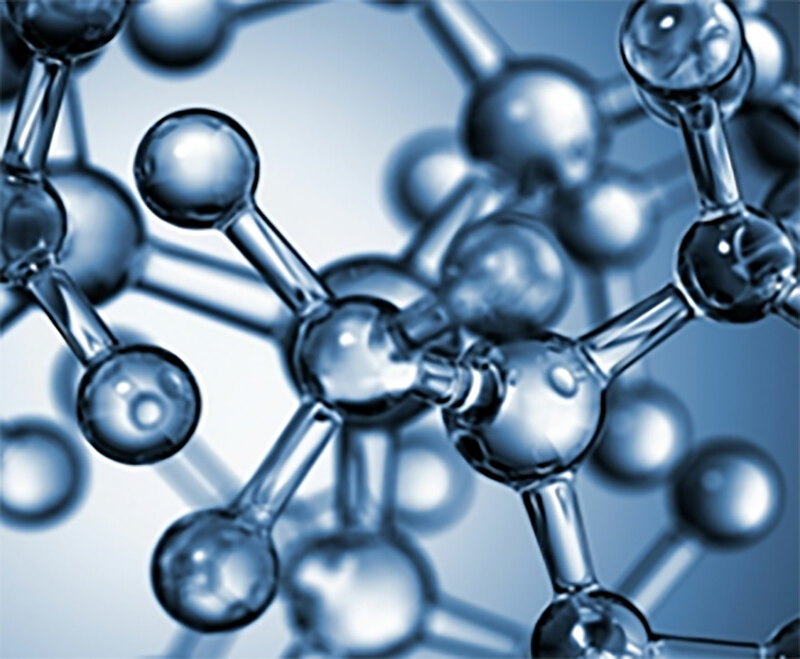 Molecular Medicine have gone on to careers in the life sciences industry, research, academia and medicine. Critical analysis of the scientific literature and presentation of scientific research. 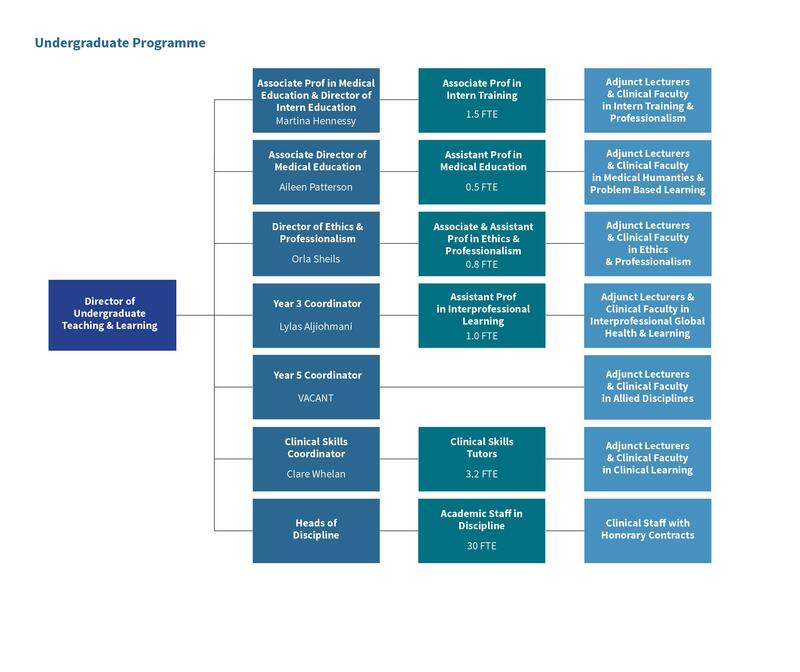 The course aims to provide candidates with a cutting edge overview of the field of Molecular Medicine and provides taught modules on a wide range of subjects – see below. Our lecturers are predominantly research active or clinical scientists who lecture in their areas of expertise and the course content is constantly reviewed and updated - with recent significant additions in the areas of Advanced Diagnostics and Therapeutics, Glycobiology and Nanomedicine. 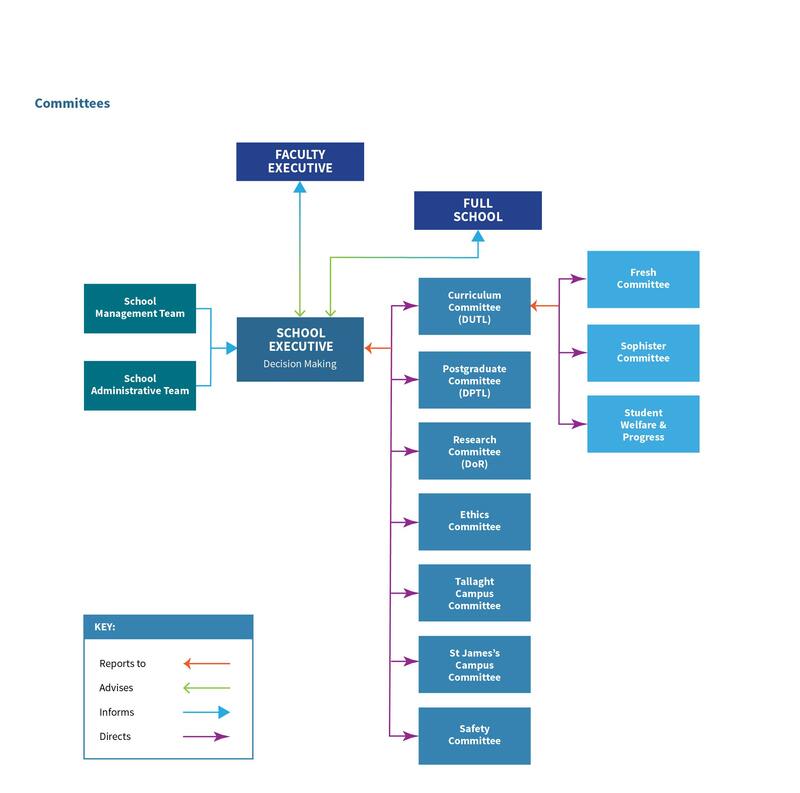 The course is divided into 11 modules (each 5 ECTs) from which students will select 9 modules, allowing the student to tailor the programme to their individual needs. The Research Skills module (15 ECTs) is mandatory and comprises two separate week-long practical classes in Molecular and Cellular Biology, Bioinformatics, Ethics, Statistics, a Review of the literature and Seminars on Research methodology. The Research Project (30 ECTs) forms a major component of the course and takes place over three months full-time in the laboratory on a novel piece of research (April – July). Aim: The aim of this module is to give the student a broad overview of the structure and function of the mammalian cell and its organelles. It then explores the molecular basis for cellular mechanisms such as the cell cycle and the apoptotic process. Study of the cytoskeleton and associated proteins will allow an understanding of cell division and migration. The module then aims to describe the basic mechanisms of cell cell communication and intracellular signalling processes. The approach is to teach the mechanisms by which cells transmit extracellular signals from the surface receptors to the nucleus resulting in changes in gene expression. Having completed this module, students will be competent to expand their basic knowledge in cell biology, understand the current literature in the area and will be in a position to study the cellular and molecular basis of normal and pathogenic cellular processes. Aim: This module consists of Introductory modules on basic processes in genetics as well as a short module on the genetics and cellular biology of development, an excellent system for the study of fundamental processes. Thus this will give coverage to the basic ideas of DNA replication, mutation and repair and the transcription and translation of the information encoded in the DNA into mRNA and protein. It has become increasingly clear that these are highly complex processes subject to tiers of regulatory intervention and some of the more recent discoveries relating to regulation of these processes, for example by microRNAs means will be discussed. The short course on developmental biology covers issues of cell fate and familiarises candidates with the fundamentals of stem cell biology. This module is a specialised or advanced module dealing with the subject of molecular oncology from a variety of perspectives. The basics components of carcinogenesis such as tumour suppressor genes and oncogenes are discussed as are the contributions of important mechanisms such as inflammation and environmental exposures. However more and more is known about the altered genomics of cancer cells and aberrations of normal cellular processes such signal transduction, and it is also becoming clear that while many events are frequently observed in different types of cancer, most if not all cancers have molecular events and programmes that are unique to each type. Thus this module also includes lectures that focus on important types of cancer, describing the molecular events known to contribute to the carcinogenic state. This module consists of two components, one an introduction to Human molecular genetics and the other covering evolution and selection which is a basic tenet of modern biology with ramifications is all aspects of life sciences. The combined course will cover the basic elements of human population genetics from a molecular point of view. Many of the principles underlying the recent coming of age of disease genetics are discussed such as linkage and association genetic mapping, basic structure and genetics of populations, and the genetics of complex diseases. In the second component of the module, we discuss the evolution of the human race and molecular evolution of viruses for example HIV. This is essential to understand the structure of human populations around the globe and particular disease associations, while the molecular evolution of viruses and other pathogens is of central significance to global health. This module provides an oversight of the processes which mediate the immune system’s response to pathogens. Thus it delves into the molecular mechanisms underlying the innate and adaptive immune responses, including the roles of B cells and Tcells including recent advances into understanding the activities of specialised lineages of T cells. In depth coverage of intra and inter-cellular signalling are included. Intrinsic to the immune response is the inflammatory response which plays such a critical role in human disease including degenerative diseases and autoimmune conditions. A central theme in the interactions of modern health science is to better understand the modes of interaction of micro-organisms and the host. It has become clear in recent years that these interactions are highly specific and allow the micro-organism to manipulate its environment using molecular strategies. Equally the host has developed means of containing and eliminating organisms, many of which appear to be variable at a genetic level. The aim of this module is to investigate what is known regarding the specific mechanisms by which these interactions occur and the key elements of the biology of major pathogenic organisms. It includes introductory lectures giving an overview of the area and important topics in current research and specific lectures covering , viral, bacterial and parasitic infections such as malaria. This module explores the molecular pathology of a number of important human diseases. It therefore applies the knowledge gained in basic modules of genetics and cell signalling and applies this in a multifaceted investigation of molecular disease mechanisms. This topic, central to the aims of this course, is split into two modules, MMHD1 and MMHD2. MMHD1 covers individual and more disparate topics of both common and rare diseases, while MMHD2 covers a number of theme areas such as pulmonary disease, cardiovascular disease and neurobiology and neurological diseases. These modules will draw on students knowledge of basic scientific processes in molecular and cellular biology. These are separate, stand-alone modules. This module offers a range of lectures covering novel applications of molecular technologies in the diagnostic arena as well as investigating the therapeutic developments made possible by increasing understanding of biology at the molecular level. Thus topics include molecular diagnostics in applications such as cancer and infectious diseases as well as cellular and molecular therapeutics including molecular drug targets, vaccines and drug design and delivery. This is a mandatory module that constitutes 15 ECTS and incorporates the components listed below. This runs throughout the year. The following areas will be covered from a theoretical and “hands on” approach. 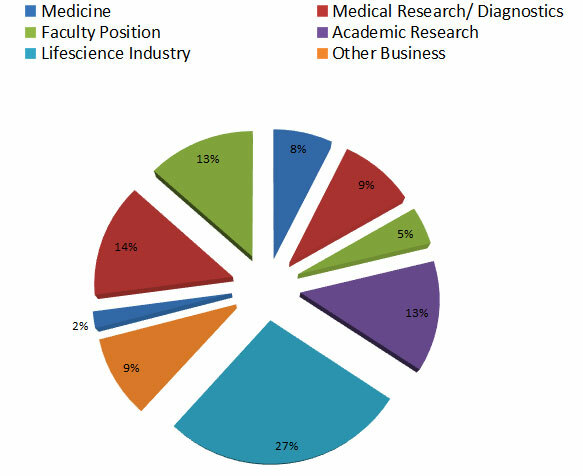 Bioinformatics and Molecular Medicine- What’s Out There? Introduction to Databases and Sequences Software. Ethical and legal considerations are fundamental to the developing field of Molecular Medicine. In this module we will investigate these concepts drawing on the experience gained internationally. This introduction to practical data analysis is designed for those requiring the skills to analyse and interpret experimental data as part of their everyday research. The course introduces participants to statistical principles through a set of lectures, supplemented throughout with examples and guided practical exercises. The two-day course will take place in term 1. These seminars in Molecular and Cellular Biology Research Skills will take place in terms 1 and 2, and will in the main be given in conjunction with the practical courses. A series of speakers will be invited to discuss employment and vocational prospects with students. This will take place on one or more evenings in Terms 2 and 3. All students should attend. Each student will be required to write a literature review on an important area of Molecular Medicine. Journal clubs will be hosted throughout terms 1 & 2. Prof. Ross McManus is Professor of Molecular Medicine. He is Director of the Molecular Medicine Postgraduate Education Programme since 2003. His research interests are in the genetics of complex diseases with an inflammatory component such as coeliac disease, arthropathies and sepsis and has been involved in several major national and international collaborative investigations into these diseases. He is a member of the Eurolife Educational Alliance, comprising Trinity and seven other leading European universities, promoting leadership in postgraduate education and student exchanges across Europe and developing a common doctoral training programme within the Eurolife network. He is also a member of the Molecular Medicine Ireland education committee. Prof. Yuri Volkov received his MD from the 1st Moscow Medical University and subsequently a PhD in biomedical sciences at the Institute of Immunology, Moscow. He has been working at the Department of Clinical Medicine, Trinity College Dublin since 1995 and he is currently Professor and Chair of Molecular and Translational Medicine. His research interests include nanomedicine and biomedical applications of nanotechnologies, molecular mechanisms of immune system functioning in health and disease, cell adhesion and migration in inflammation and cancer, intracellular signalling and cytoskeletal dynamics, advanced cell and molecular imaging. Prof. Volkov is also a Principal Investigator at the Trinity College’s Institute of Molecular Medicine and the Centre for Research on Adaptive Nanostructures and Nanodevices (CRANN) and AMBER Centre. He is involved as a coordinator and lead TCD partner in several large-scale EU funded projects uniting the expertise of academic, research, clinical and industrial partners towards the development of nanotechnology-enabled toolkits for early diagnostics and treatment monitoring of major types of cancer. Dr. Henry Windle is a lecturer in the Department of Clinical Medicine, TCD. He coordinates the IABCI module in the MSc in Molecular Medicine and also coordinates the M.Sc. in Biomedical Sciences programme for Intercalated medical students. His research interests include bacterial-host interaction in relation to the gastric-cancer associated pathogen Helicobacter pylori and the colon-cancer associated organism, Fusobacterium nucleatum. 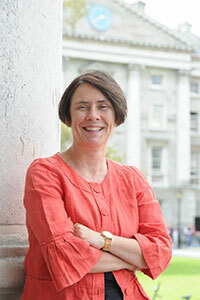 Professor Aideen Long is a Principal Investigator in the Trinity Translational Medicine Institute, based on the St James’s Hospital campus. Her research focuses on the signalling aspects of leukocyte-endothelial cell interaction and the elucidation of mechanisms used by lymphocytes to circulate from the bloodstream into tissue. The processes of leukocyte extravasation and tumour cell metastasis share many common mechanisms. Her research group is particularly interested in the regulation of cytoskeletal shape during the migratory process and the structural proteins and enzymes that regulate this. This research is important in the context of elucidating the mechanisms of inflammatory and autoimmune diseases such as inflammatory bowel disease and multiple sclerosis. At a translational level the group has studied mechanisms used by the Hepatitis C virus to subvert the immune system. In addition they have investigated the cellular response to bile acids in models of oesophageal and colonic cancer. Dr. Shigeki Nakagome received his Ph.D. at The University of Tokyo in 2010 with the focus on the evolutionary pressures on alleles associated with Crohn's disease. As a postdoctoral researcher, He first joined The Institute of Statistical Mathematics from 2011 to 2014 where he developed a new statistical method, kernel Approximate Bayesian Computation. 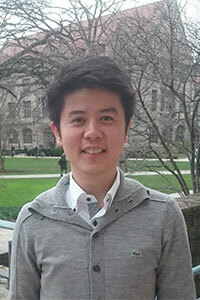 He obtained further postdoctoral training at University of Chicago from 2013 to 2016. During this training, he has acquired expertise in population and functional genomics to develop statistical approaches for understanding selective pressures on immunity genes and to connect genetic polymorphisms to their functional consequences in the immune system. Since 2016, he has worked as Ussher Assistant Professor in Genomic Medicine at School of Medicine, Trinity College Dublin. Applicants should have a primary degree in Biology, Medicine, Dentistry, Veterinary or Pharmaceutical Sciences. Applicants with other scientific qualifications may also be considered. Those with a science degree must have achieved at least a II-1 honours degree or equivalent. We welcome students from all over the world, but note that visa applications for those coming from outside the EU may be lengthy, and we encourage these applicants to apply early, where possible. 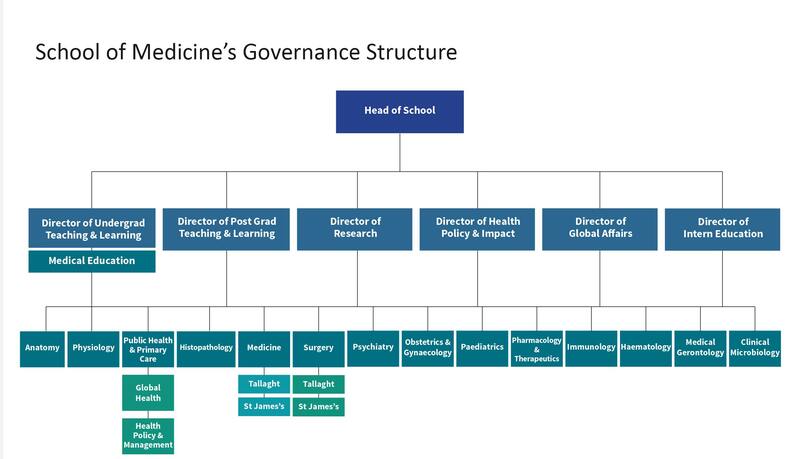 The programme is based in the Trinity Translational Medicine Institute at the Trinity Centre for Health Sciences, on the St. James’s Hospital Campus. St. James’s is the biggest hospital in Ireland, and is an academic teaching hospital linked with Trinity College Dublin as part of the Trinity Health Ireland group. Postal Address: Room 1.15, Discipline of Clinical Medicine, Trinity Centre for Health Sciences, James's Street, Dublin D08 W9RT, Ireland.